BAND BIOGRAPHY Formed in 1994, BURDEN OF GRIEF are - besides Night In Gales - considered as the pioneers of melodic death metal "made in Germany". They self-released two EPs, which gained them interest not only from fans but also from record companies. Andy Siry, A&R Manager at Nuclear Blast, recognized the potential of the band, and offered BURDEN OF GRIEF a record deal with his own label Grind Syndicate Media, where the first two EPs were re-released as "Haunting Requiems" in 2000. BURDEN OF GRIEF never felt comfortable with the label "Melodic Death Metal", though, and their second album, "On Darker Trails", offered even more thrash elements than it was and is common in the classic Gothenburg sound. The melodic parts are rooted in the fondness for classic metal bands like Iron Maiden or Judas Priest. 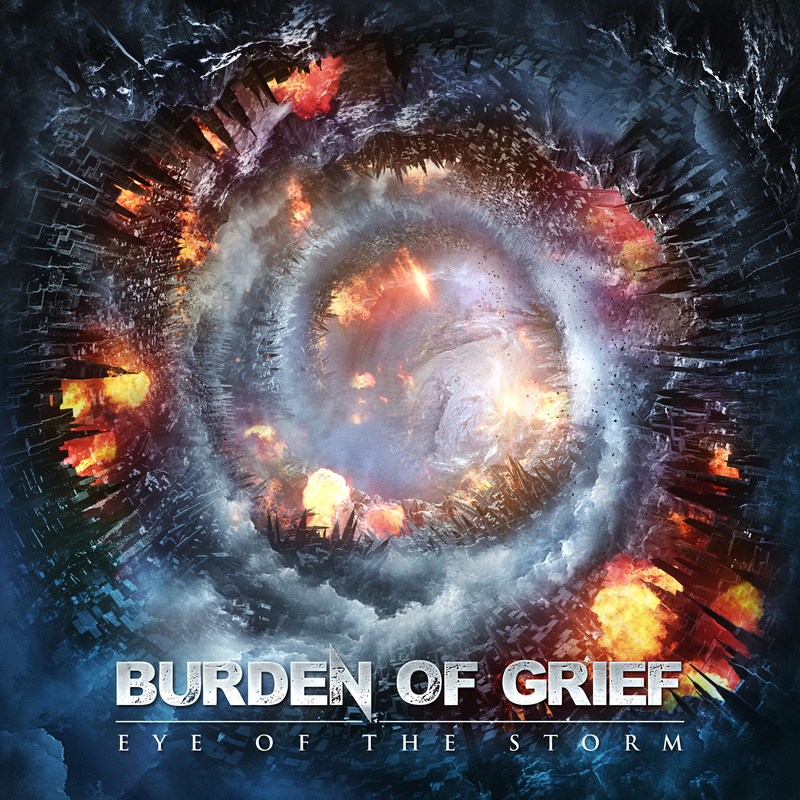 BURDEN OF GRIEF are actively pursuing this claim until today, which is showcased on their now 7 albums and numerous live shows all around Europe. Consistency on one hand, because the band refuses to follow short-lived trends, and improvement and progress on the other hand, because the band keeps advancing musically - this is what defines BURDEN OF GRIEF. ALBUM INFO The signs indicate stormy weather for BURDEN OF GRIEF, because the new album "Eye Of The Storm" is as brutal as a hurricane! From a musical point of view, BURDEN OF GRIEF accomplished to focus on their strengths, to combine them and to put them into 10 riff monsters that are varied and brimful with energy, melodies and grooves! To those of you who like to neatly order your socks as well as your music collection, feel free to put a label on this album! Kristian Kohlmannslehner took care of the mix and mastering of the album at the Kohlekeller Studios. And he made sure that this is the tightest and most brutal album BURDEN OF GRIEF ever released!